Some time ago, an inflatable kayak was unheard of. You could only find cheap floating toys made for kids, but they weren’t even made with durable materials. Now, the best inflatable kayaks are more than good enough to take to a river, a lake, or the sea. Thanks to modern technology, they are pretty reliable and durable, almost like a hard shell kayak. One advantage Inflatable kayaks have an against hard shells is the noticeable difference in portability. Inflatables can pack down into a much smaller size-even to fit your backpack! There are many inflatable kayaks in the market so it’s crucial that you know what you should look for in the best kind. 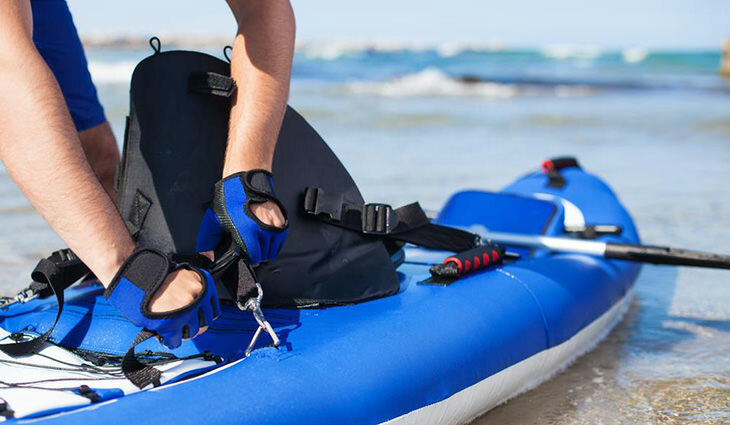 There are many different kinds of inflatable kayaks, depending on how you’ll be using it. There are recreational ones and performance oriented ones. If you plan on paddling in bodies of water with a windy, wavy, or strong current, then it’s ideal that you spend a little more for a performance oriented kayak. 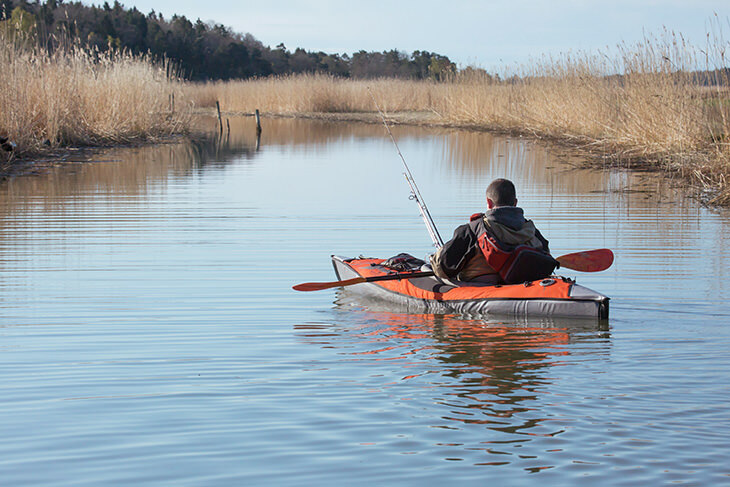 For still or flat waters, almost any kind of kayak will do. This kind of kayak is straightforward and ideal for paddling on the calm water. There’s no hole to get into or top covering; you will just sit on top of the kayak. Sit-in kayaks are the traditional kinds where your lower body is covered or inside the boat. They are ideal for wavy waters or strong currents. A canoe type kayak has a flat bottom, high walls, and plenty of room for moving around and for carrying supplies. Apparently, it resembles a canoe. It can take 2 or more people and other things like a cooler and a bag. Self-bailing kayaks are designed with potholes in the bottom to prevent flooding in the kayak. They’re used for white water situations when water tends to enter the kayak. Some self-bailing kayaks may have plugs so you can keep them open or close as you want them to be. There are solo, single and convertible types of kayaks. If you like the idea of sharing one kayak with another person, then opt for the tandem. Solo apparently means just for one person. A convertible is designed to convert to a tandem or solo kayak. It allows you to adjust the position of the seats for easy maneuver. The quality and durability of an inflatable kayak rest a lot on the materials it is made of. PVC is a type of coating used on polyester or nylon which increases the tear resistance and strength. It’s affordable, durable and easy to patch. However, this material doesn’t do as well with chemicals and heat as Hypalon or Nitrylon. In fact, the quality is diminished by UV rays. Many manufacturers prefer to use Hypalon for exterior coating because it’s more durable and environmentally friendly. It also doesn’t get a lot of damage from UV rays like PVC does. Because of these reasons, Hypalon is the most expensive material. Nitrylon is an eco-friendly option to PVC. It’s durable and more resistant to tears and punctures. The downside is that it is heavy. 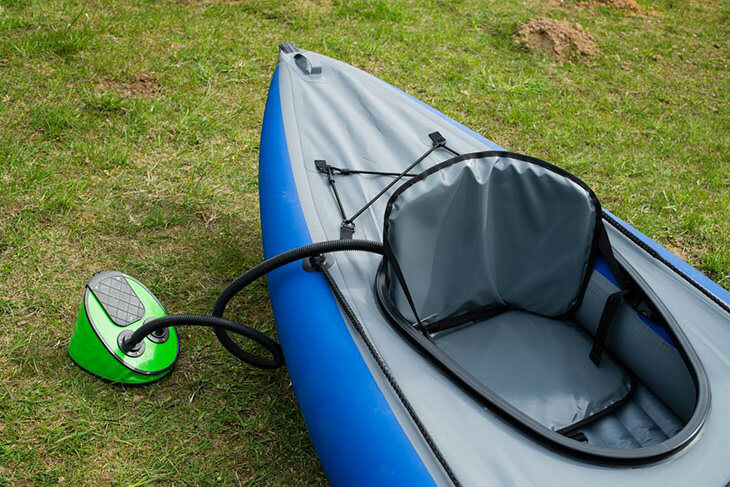 Multiple air chambers are ideal, so your kayak won’t simply just pop completely. If one chamber leaks, at least you won’t be sinking or you’ll have enough time to get back to shore with the other chambers still intact. One of the great things about inflatable kayaks is they are easy to use. However, with the wrong pump, this could be a more daunting task than it should be. Many kayaks include a pump, while others are bought separately. However, not all air pumps in the package are good, so you might still need to purchase a decent one separately. Lightweight models are great if you’ll often be hiking with your kayak. The average weight of a deflated kayak is around 30 pounds, while the lightest one is around 17 lbs. Most inflatable kayaks can be set up for around 5-10 minutes. However, there are others that have more features or details that require more time. When buying an inflatable kayak, consider how easy it is to inflate and set up. 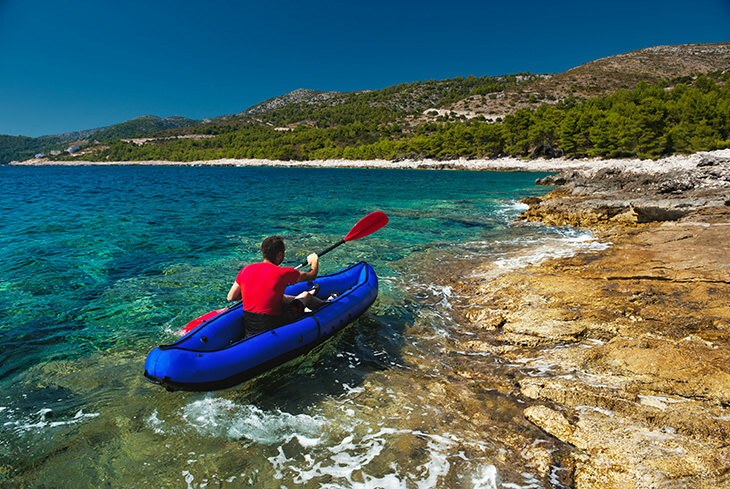 When buying an inflatable kayak, consider is included along with it. An air pump, paddle, and repair kit are extra necessities. You might also want an air gauge so you can ensure the right amount of air is in the kayak. There’s a broad range of inflatable kayaks, so the prices vary as well. This factor is important, but shouldn’t be the primary concern. 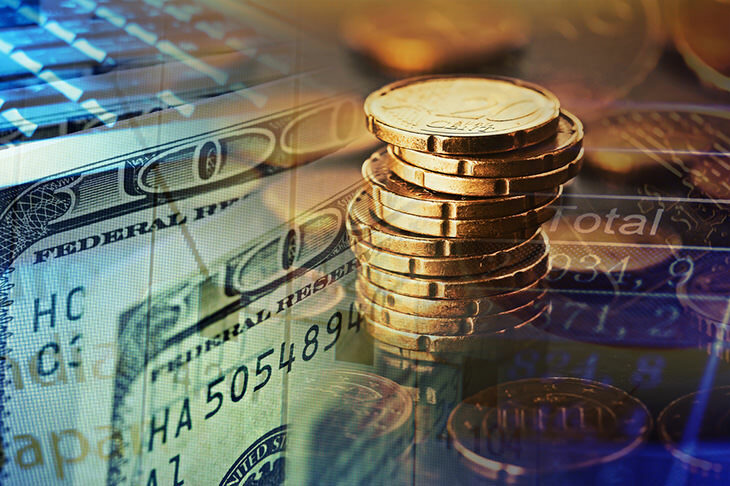 If your budget doesn’t get you what you want, you can opt for a cheaper option. However, you’ll need to stick to calm and less exciting waters if you don’t want it to deflate or ruin it, especially while you’re in it. 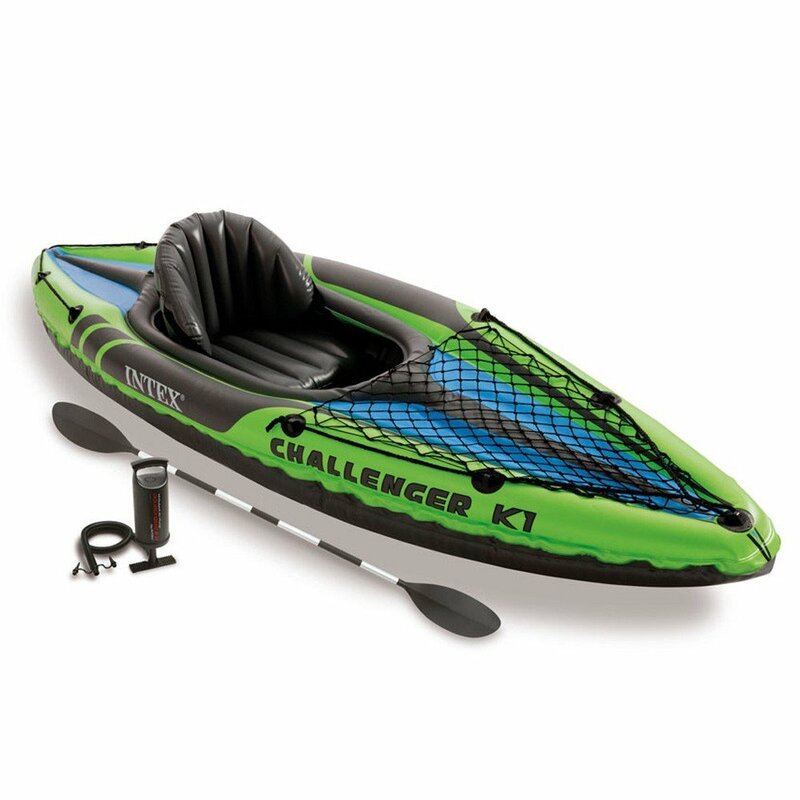 The Intex Challenger K1 is probably one of the cheapest inflatable kayaks there is. Usually, you get what you pay for, but not with this inflatable kayak. It’s cheap because it uses a low-cost material. However, the sturdy vinyl is still puncture proof and tough against UV rays. The one person kayak is 30 inches wide, 15 inches, and 108 inches long. It weighs 27.2 pounds and can support up to 220 lbs. Along with the kayak, you get an 86-inch aluminum oars and a high-output air pump. It also has a skeg for better tracking. 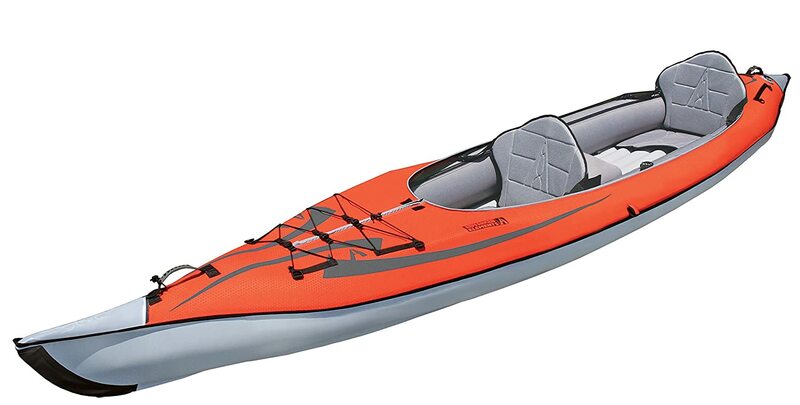 This kayak is perfect for calm waters like in lakes or slow rivers. It’s pretty decent quality for the low price. Great option for entry level. The bright colors are nice and easy to spot. It has cargo nets at the front for extra storage. Easy to set up. You can inflate everything, from the kayak to the seats in about 5 minutes. The use is limited to slow moving and calm waters. Not great for windy days as it can be easily blown off. The aluminum oar paddles it comes with are not very solid and sturdy. 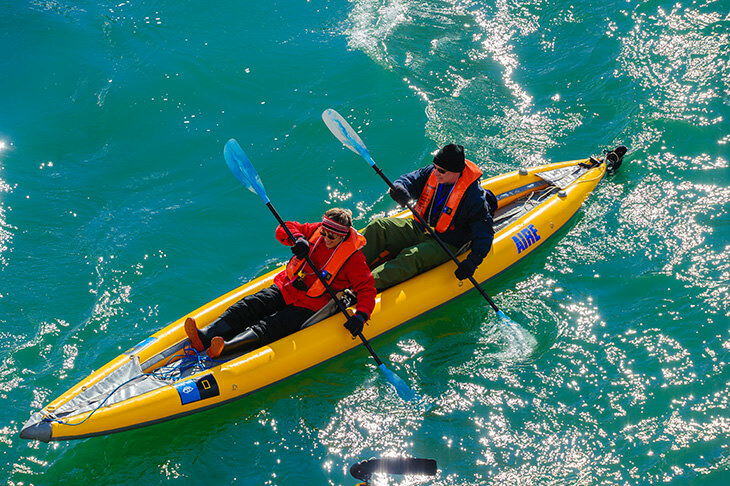 The Intex Explorer K2 is a two-person kayak and has similar features to the Intex K1. Like the K1, it utilizes a sturdy vinyl material that is highly puncture-proof and UV damage proof. It comes with an 86 inch aluminum oar, high-output air pump, and a removable skeg. The main difference is that this is larger and can accommodate two people, or up to 400 pounds. Great size and support for two people. Can be used by one person as well. Aluminum paddles are heavy but not as strong as it should be. 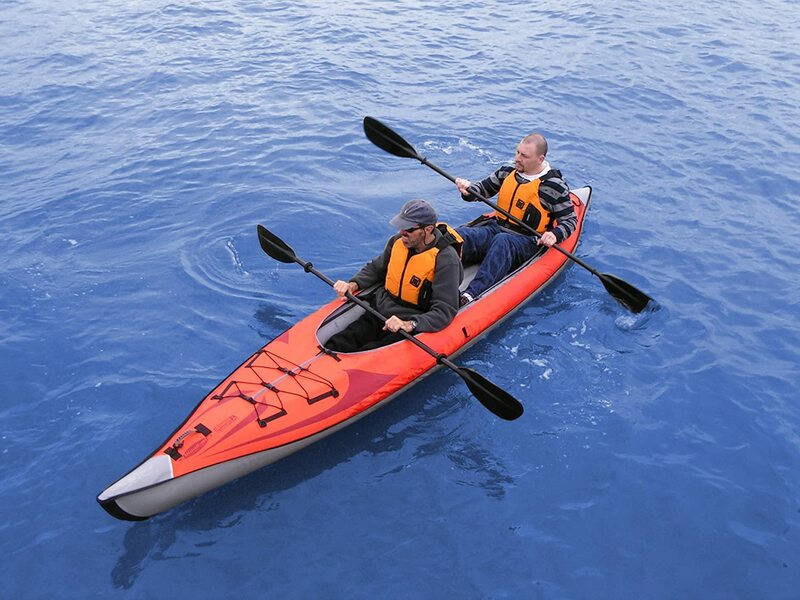 The Sea Eagle 370 is a tandem inflatable kayak but can support up to 650 pounds or about three people. It’s constructed with an extra thick kind of PVC and 5-Tube I-Beam floor for more rigidity. The SE370 weighs about 26 lbs, which makes it very easy to transport and inflate. This kayak also features a self-bailing drain, two carry handles, five one-way valves and two rear skegs that improve tracking and speed. 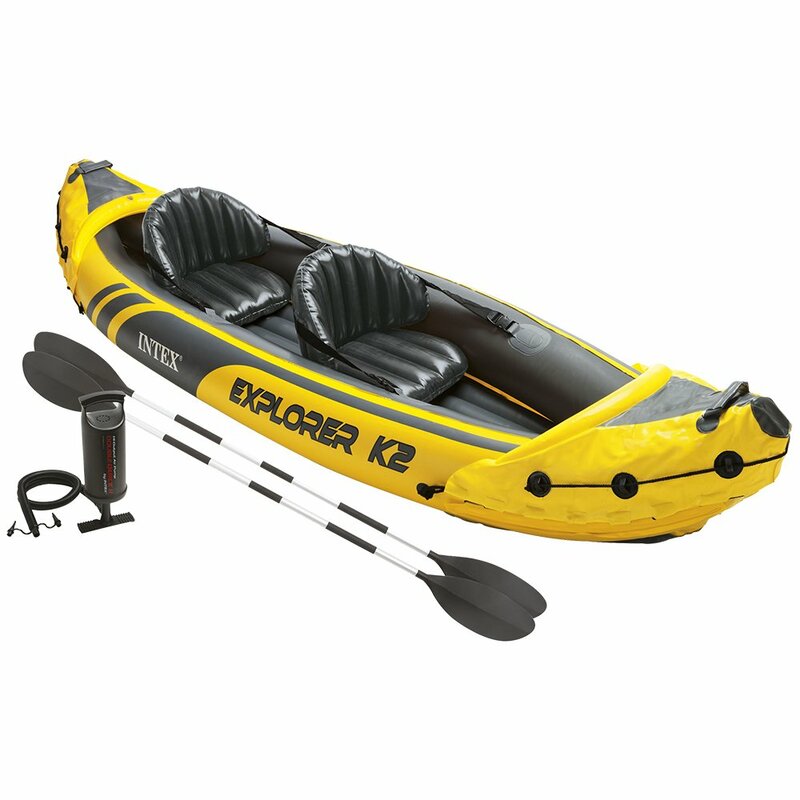 The kayak comes with three inflatable seats, a foot pump, a carry bag and a repair kit. It’s easy to lift and maneuver. You can get in the kayak easily because it’s a sit-on-top type. The material is very rugged and durable. You can move the seats to comfort. It doesn’t have ropes or nets for storage. The pump it comes with takes a while to fill the whole kayak up. 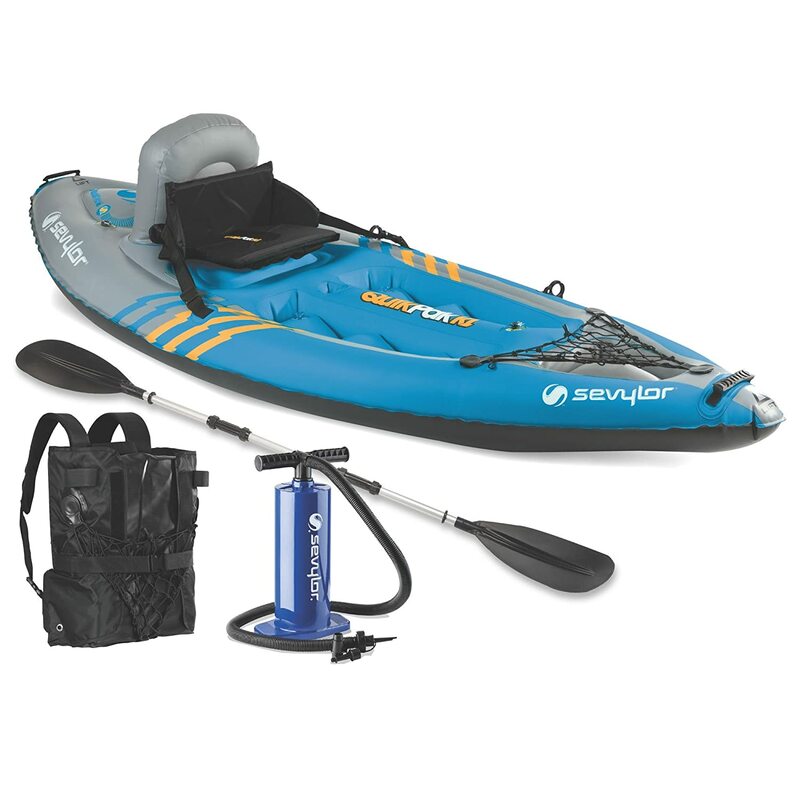 For entry level kayaking, the Sevylor Quikpak K1 is a great option. It’s a low cost yet durable and portable kayak. The backpack system makes it very easy to carry and bring around on your trips. It uses a 21-gauge PVC and a rugged tarpaulin on the bottom. 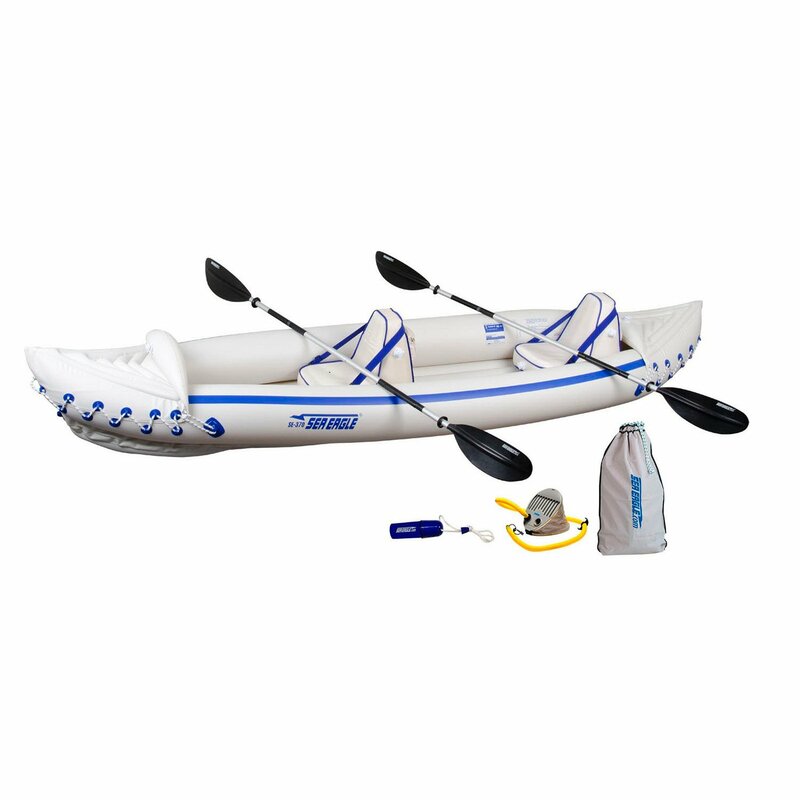 This kayak also features multiple air chambers, airtight system, and double lock valves, a storage area, a cup holder, and carry handles. The kayak carries one person up to 400 pounds. The kayak comes with a hand pump and aluminum paddles. This kayak is one of the least expensive ones but still, offers pretty decent quality. It has four air chambers. There are multiple foot positions so you can adjust to what’s comfortable for you. The backrest is a little weak and doesn’t give proper support. The paddles are a bit on the heavy side. Advanced Element is a leading brand in paddlesports products. It costs more than the others on the list, but it’s also very reliable. 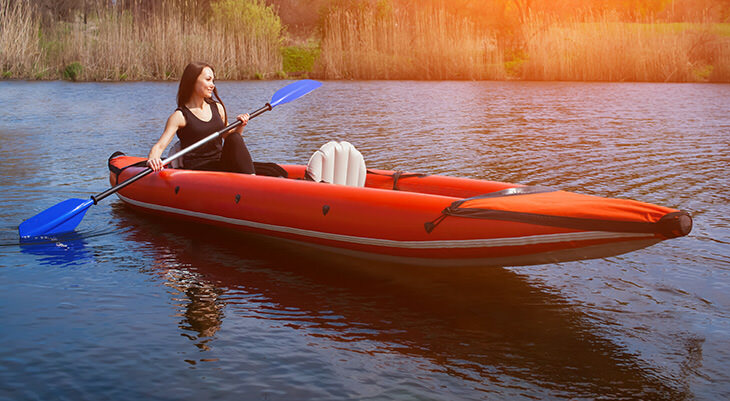 The AdvancedFrame Convertible AE1007 is an above average inflatable kayak that can be for one or two persons. The hull is designed with aluminum ribs, so it has excellent tracking. It also features three layers of an impressive puncture-resistant material. To assemble, you only need to inflate and attach the seats. 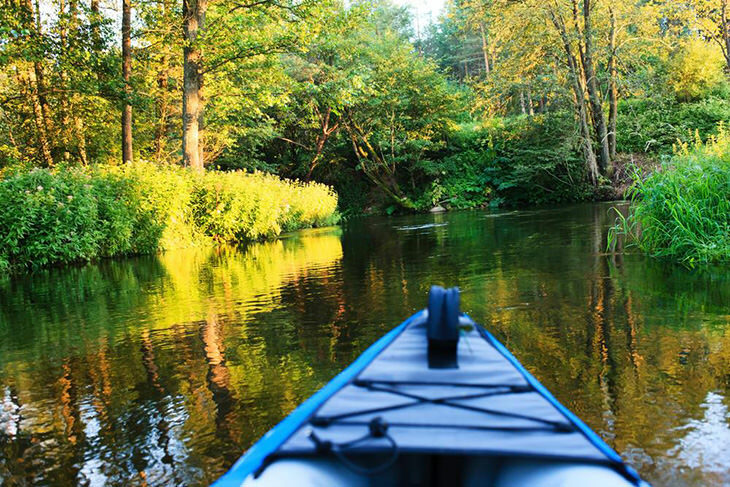 There are three different seat positions, whether you are paddling alone or by two. 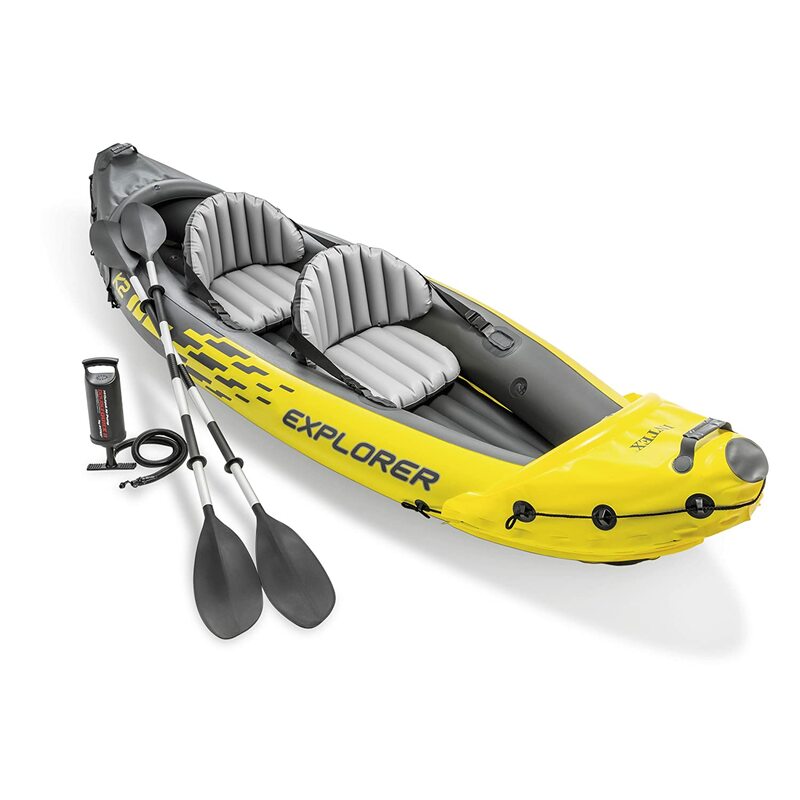 The kayak comes with two folding seats, a repair kit, and a user manual. It packs into a duffel bag for easy carry with a weight of 52 pounds. This kayak is very good quality. You can use this tougher conditions, like strong currents. Ideal for intermediate level users. Bright red color makes it easy to spot. Seats are comfortable and supportive. Solo or tandem, it’s easy to maneuver. Easy to inflate and put away. It’s a bit heavy and bulky to carry. On the expensive side of the spectrum. 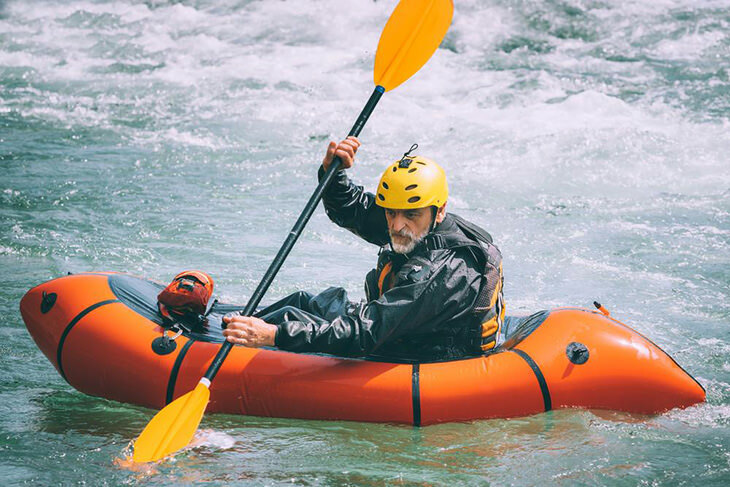 Inflatable kayaks have made kayaking more available to everyone. It allows one to go and explore the water without the trouble of lugging a heavy hardshell kayak. There’s a lot of different inflatable kayaks to choose from but what you choose depends on a few things. That said, there not one single “best inflatable kayak” for everyone. 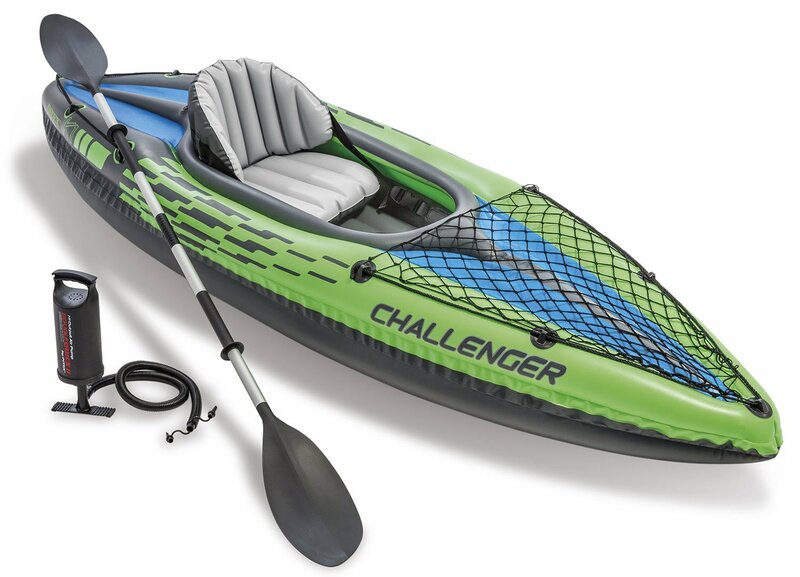 For beginners, I would say that the Interlex Challenger K1 Kayak is a good place to start. It’s very affordable without compromising quality. It’s also safe, easy to use, lightweight, comfortable and great for calm-water kayaking. 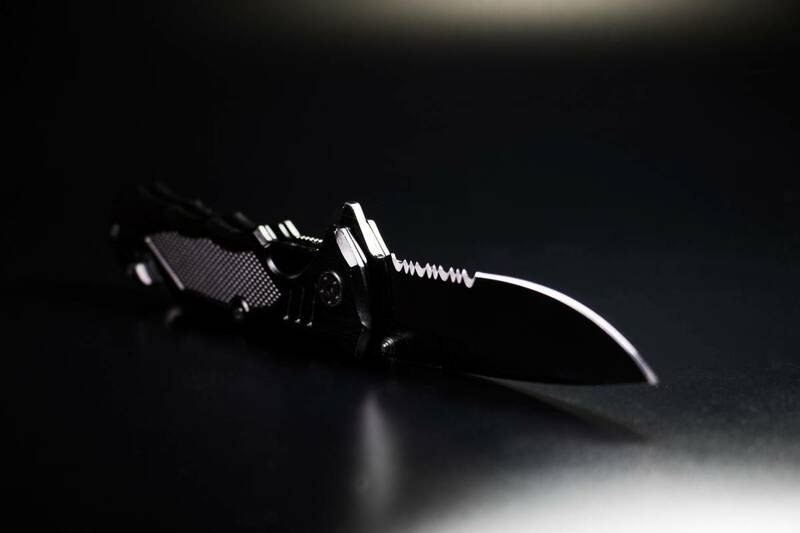 If you’re looking for something more “high-end” and more difficult situations, you better go with another one.